We will come to class today with five tables which we built according to the specs in Task 05.01. We'll talk about the concepts of relating tables through the connection between a primary key and a foreign key. 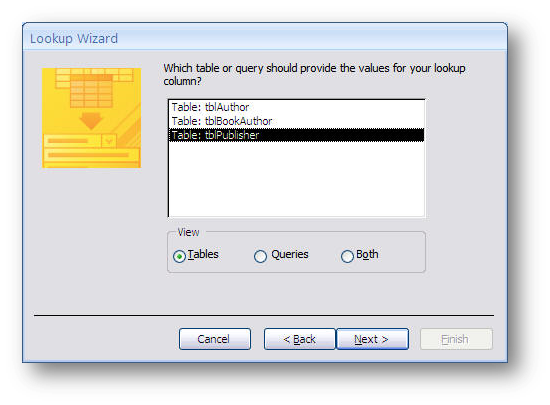 We will look at creating a relationship, first manually, then using the lookup wizards to do the task. Use a copy of the PK from the one side of a relationship as a FK in the many side of a relationship. 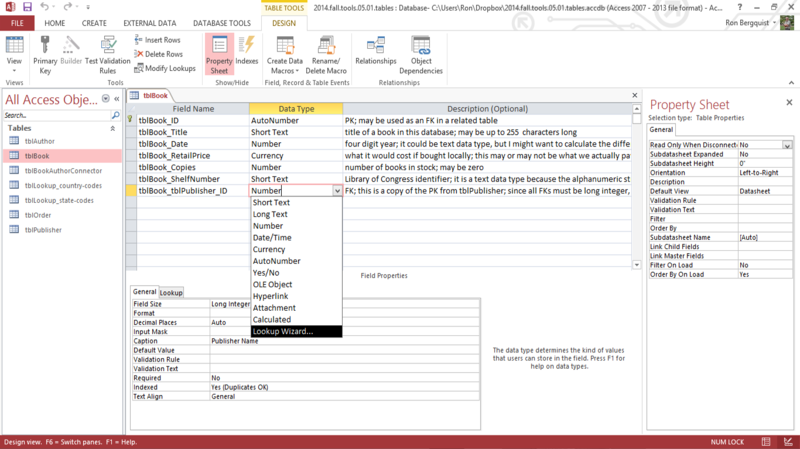 You can do this either manually, or by using the lookup wizard to modify the properties of the FK in the table itself. A relationship requires the primary key of one table be inserted as a foreign key in a second table. The link between the two like attributes is the relationship. after you have established a relationship, then you will only need to enter data in one table for the related tables to be updated with the new data. 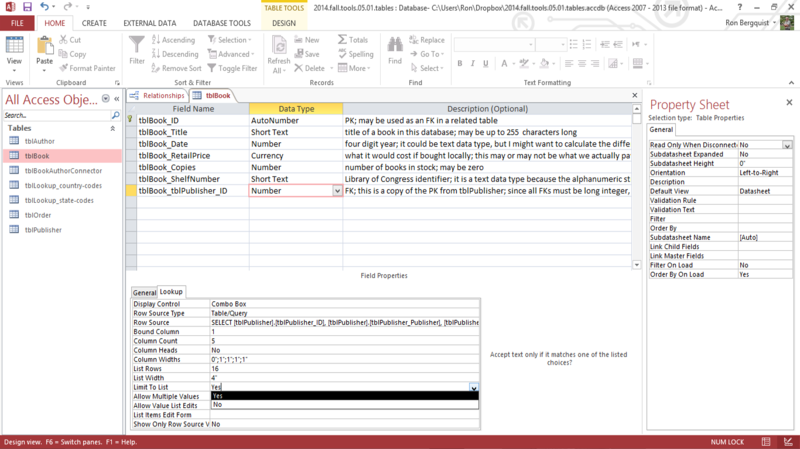 This will become more clear in queries which create dynamic tables of data. 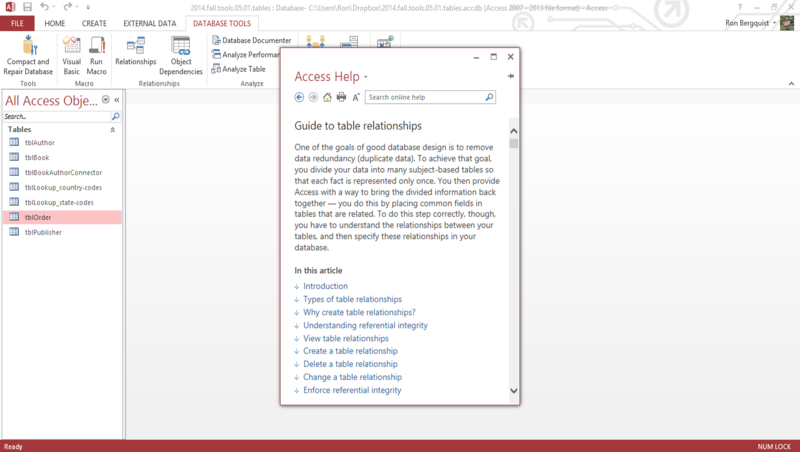 To view/create relationships in Access, select Database Tools > Relationships (or select the Relationships icon on the toolbar). In a one-to-one relationship, each record in Table A can have only one matching record in Table B, and each record in Table B can have only one matching record in Table A.
note that your table properties provide you advice about how to ensure the relationships are based on the proper field properties. Establish the relationship in the relationship window. you may need to do some work on the Foreign Key properties to ensure the field is repeatable in the table that is the many side of the one-to-many relationship. for two tables to retain their referential integrity (that is, so that the relationship between them remains healthy and correct), you should always enforce it. When you complete the editing of the relationship, your Relationship view will show you the proper relationship between the two tables. In Design View.... (note how this example includes descriptions of each field to help the user understand the intent of the field). If you have the field already related as a Foreign Key, you may have to temporarily delete the relationship in the relationship window in order to run the Lookup Wizard. 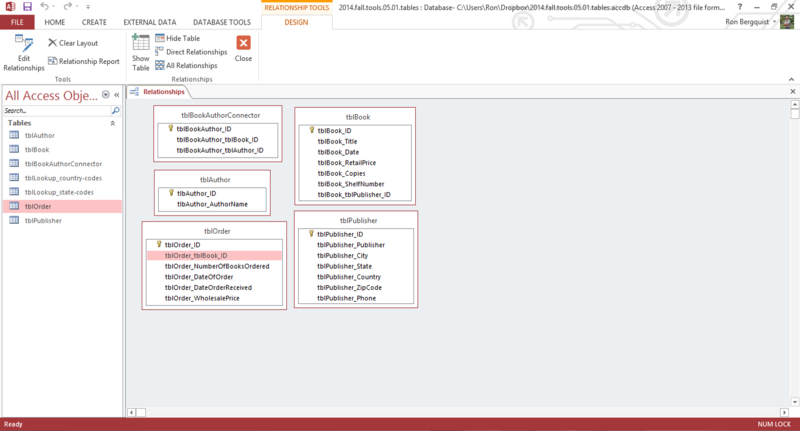 To check if things worked, change views to Datasheet view. for the option "Limit to List", you can select Yes or No.